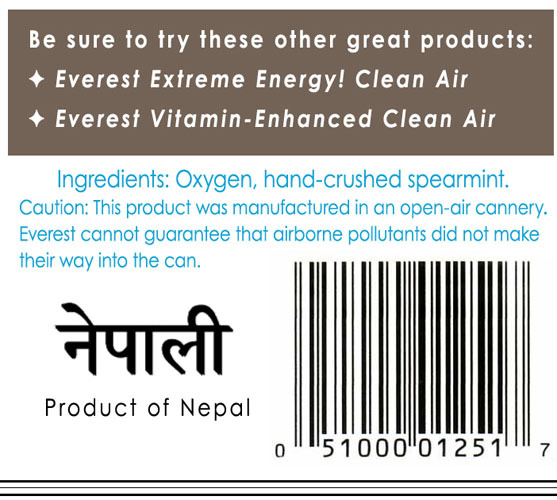 I created a canning label for a fictitious company and product, Everest Clean Air, while taking Foundations of Digital Design, a class at DePaul that was taught by one of my favorite grad-school profs, Stuart Grais. 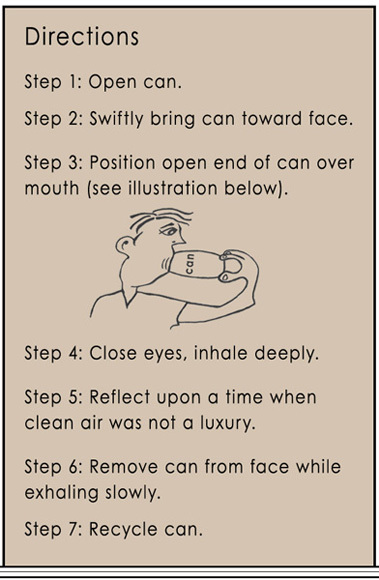 The label obviously is intended to be satirical, and my illustration of the man inhaling the can of clean air — a sketch I hastily made while riding on the El — is laughably bad. 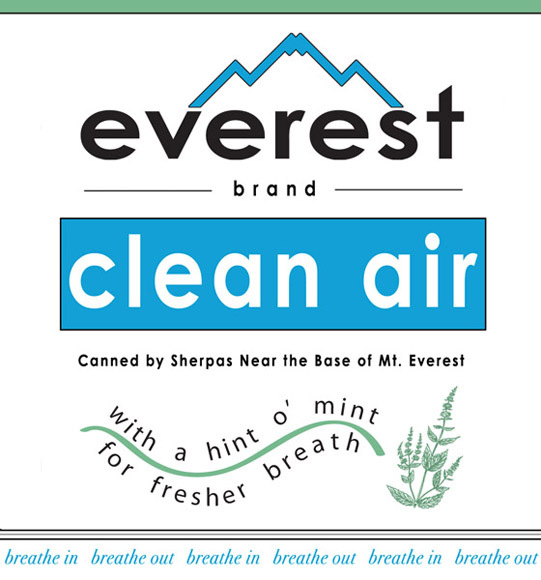 Nonetheless, I was pleased with how the Everest logo turned out. The label was produced using Adobe Illustrator and Photoshop.